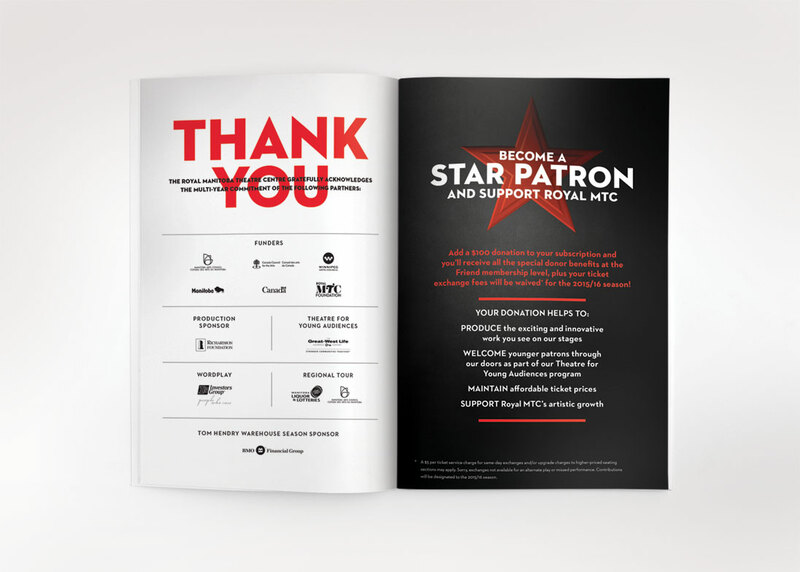 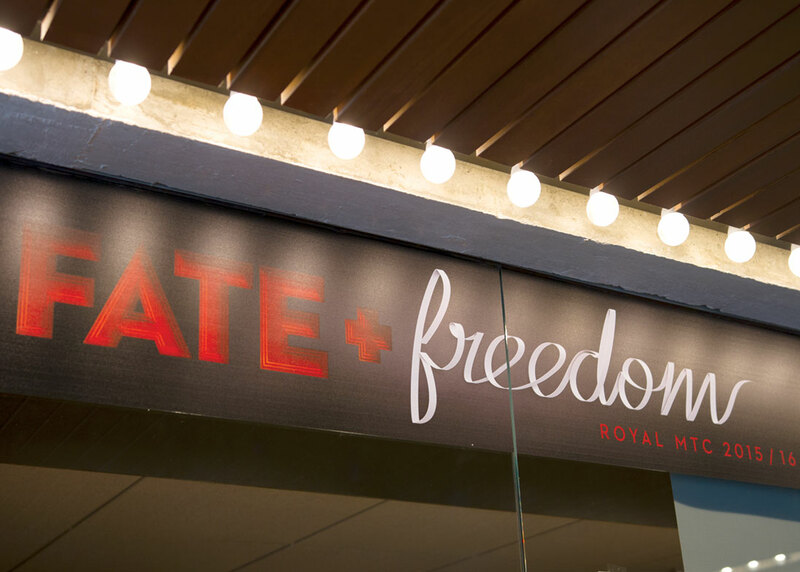 Relish was proud to play a supporting role with the Royal Manitoba Theatre Centre–a venue that sees upwards of 116,000 total ticketed attendance for its performances each season. 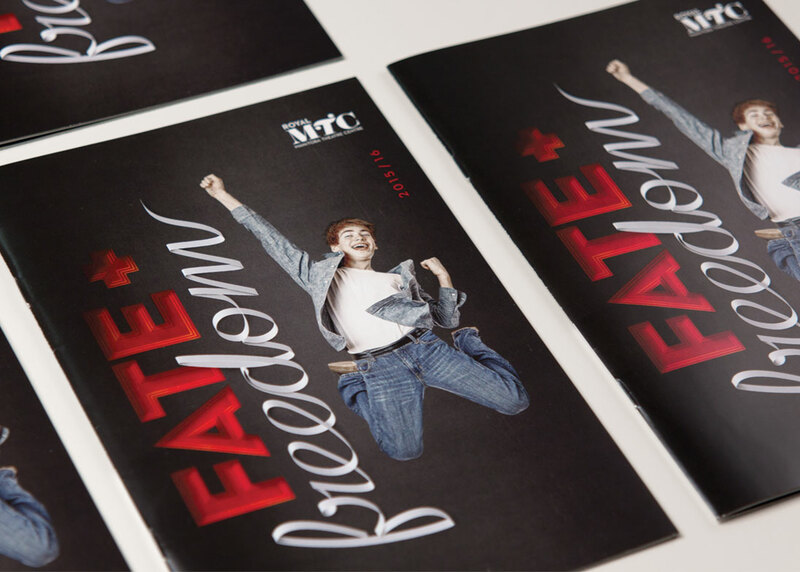 Relish was asked to help convey the theme of the 57-year-old art organization’s upcoming season, ultimately settling on two words: Fate + Freedom. 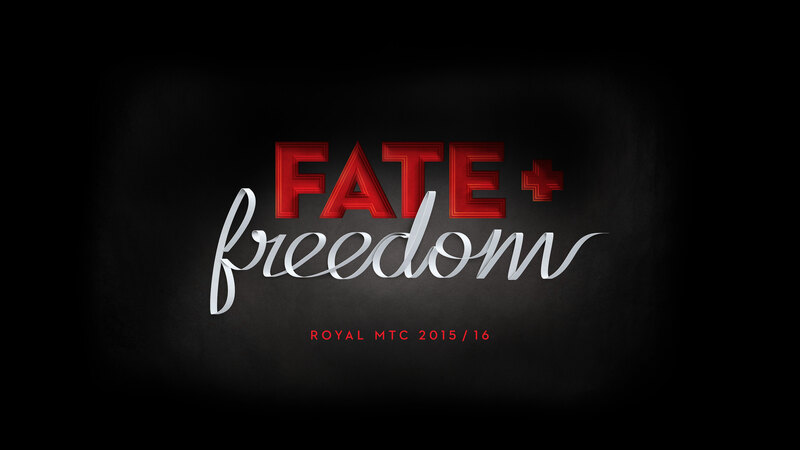 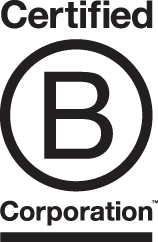 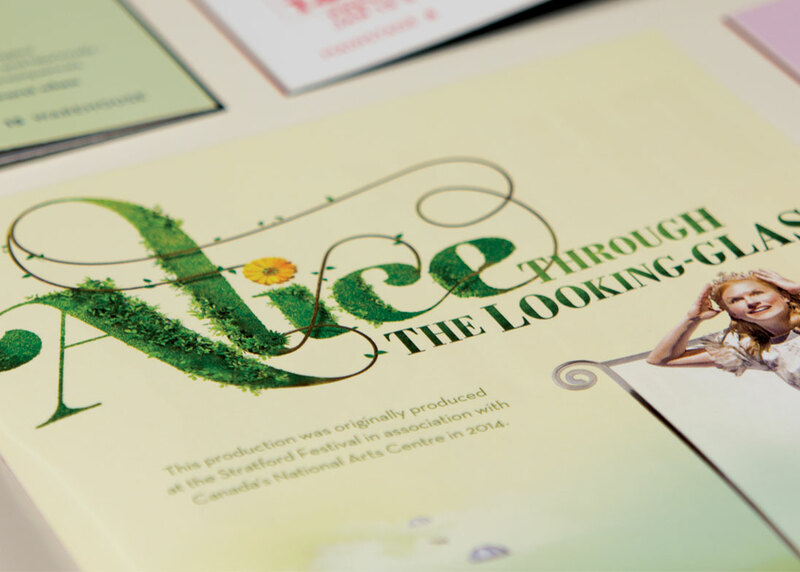 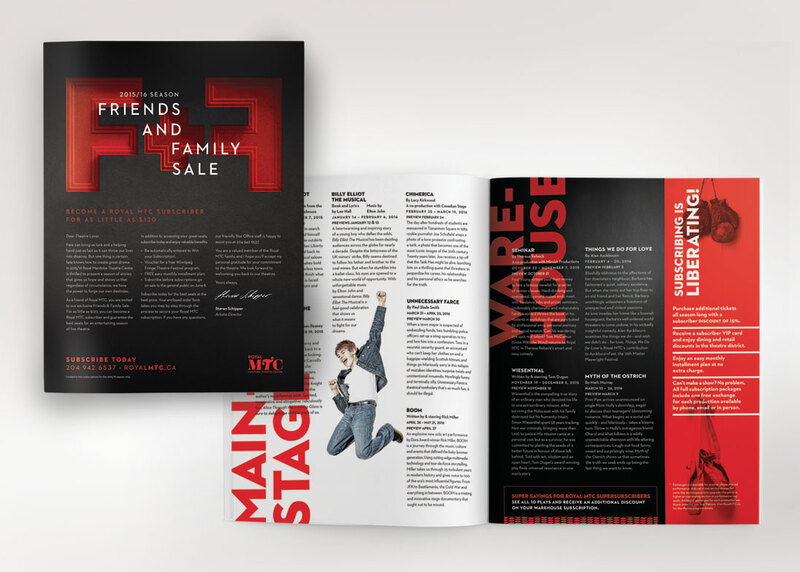 The Royal Manitoba Theatre Centre’s 2015/16 playbill is one that saw fate take its twists and turns through the lives of characters including a lawyer, an outlaw, a journalist, a politician as well as a reflective girl named Alice and a dancing boy named Billy. 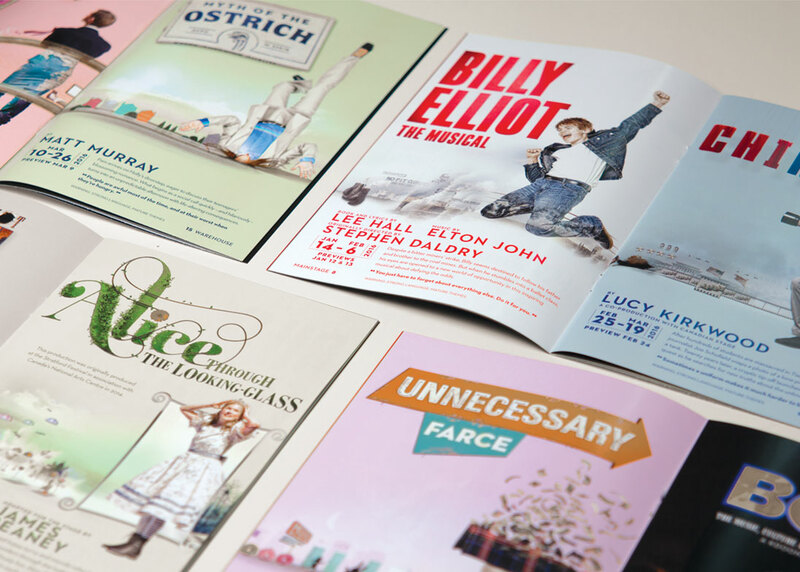 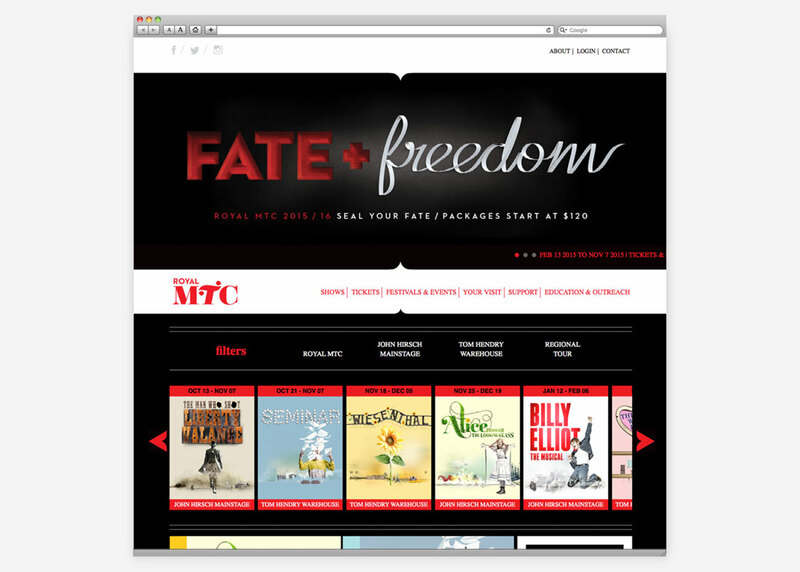 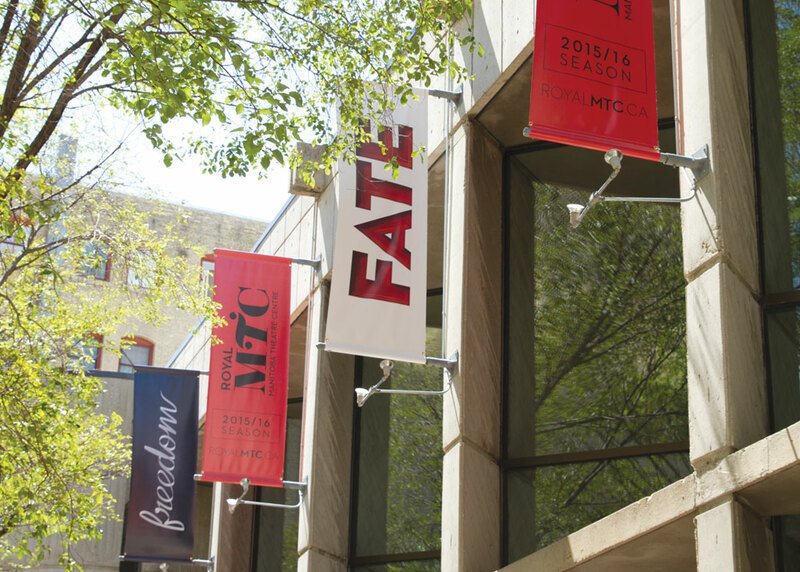 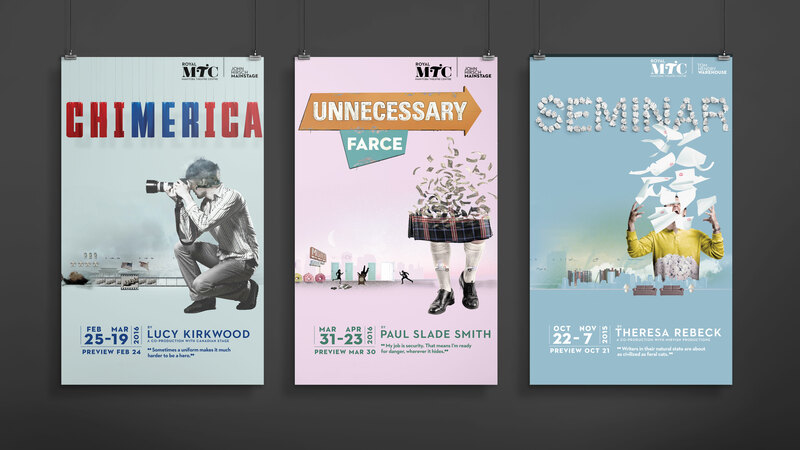 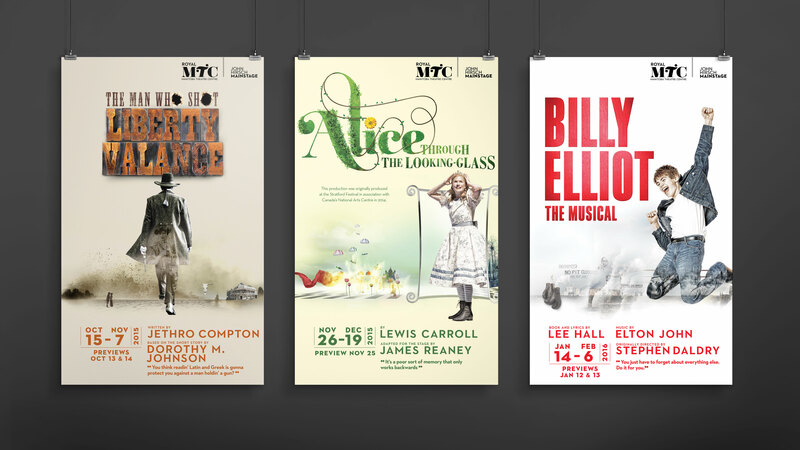 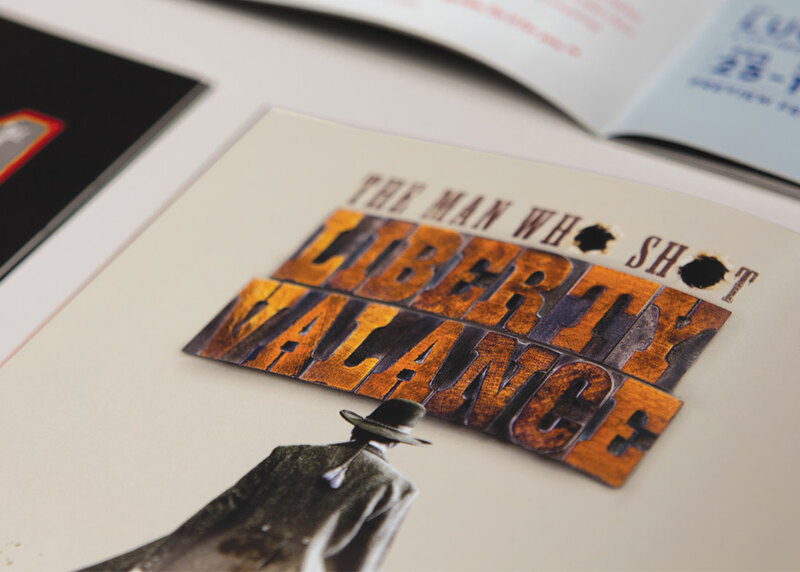 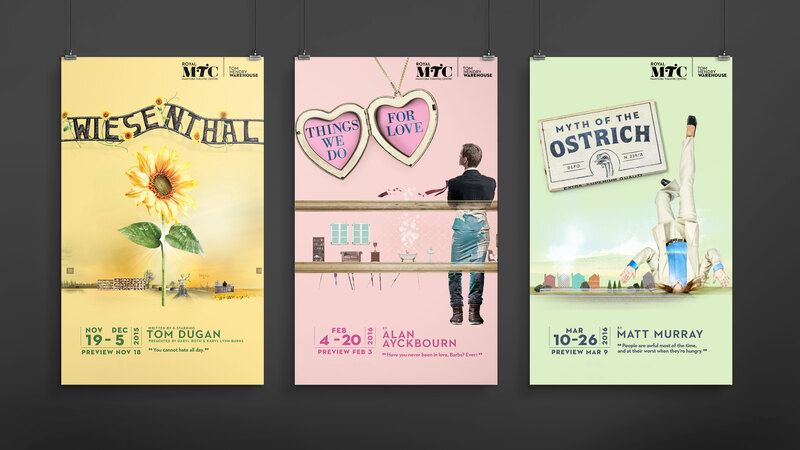 Having created everything from custom typography for the Fate + Freedom title treatment, to the poster and playbill art for Royal MTC’s six John Hirsch Mainstage plays and four Tom Hendry Warehouse plays, their audience was well prepared for another season on the edge of their seats.